T Bank primarily serves small businesses such as dentists, attorneys and accountants. As such, it offers Small Business Administration (SBA) loans, which are given to individuals planning to start or expand a business. The SBA lending process includes a large number of documents that need to be submitted, reviewed and approved by various parties. Here is how Laserfiche Forms and Laserfiche Workflow have simplified this process. Since T Bank only has one branch (in Dallas, TX), but customers all over the United States, the majority of business is done remotely. Customers who are applying for SBA loans must submit most of their supplemental documentation online. 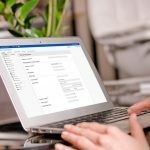 Since many of those documents are large and contain sensitive content, emailing them was not an option. T Bank decided to use Laserfiche Forms instead. After applying for an SBA loan, the customer fills out the SBA Document Submission form that is embedded in the T Bank client portal. Certain information, such as submitter name and email, is populated automatically from the database. As part of filling out the form, the customer uploads relevant documents such as a tax return. 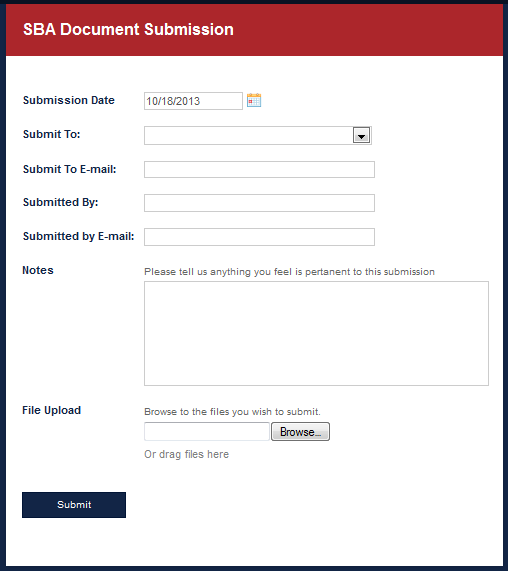 Uses the Retrieve Laserfiche Forms Content activity to extract the information entered into the form. 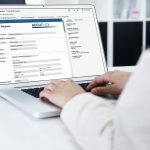 Finds all the documents submitted with the form, assigns the Loans template to each of them and populates the templates with the appropriate metadata. Moves the documents to an SBA Operations Inbox folder and renames them according to a standardized naming convention: SBA Submission Entry Name Submitter Name Date Submitted. 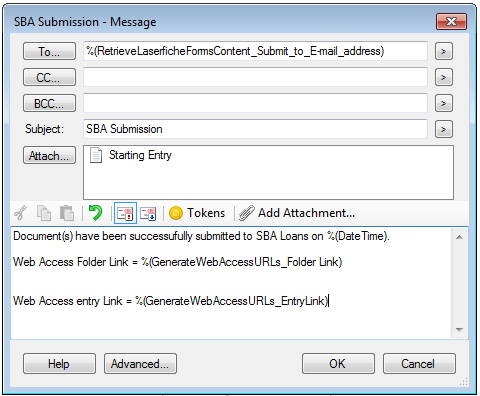 Creates Laserfiche Web Access URLs to the document and folder. These URLs are included in the email notification to the person responsible for processing the SBA loan. T Bank can now provide loans faster than the competitors, which is exactly what the customers want. All documents submitted to T Bank are now secure from the very moment that they are uploaded through Laserfiche Forms. 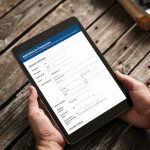 Using Laserfiche Forms for the SBA loan document submission results in a better and easier customer experience.